I came across a fascinating article the other day with pictures (and short captions) of tea as they drink it in 22 countries around the world. Obviously, picking one tea — and one style of drinking it — to represent an entire country is difficult, but they did an admirable job of it. What I appreciated, though, is that it got me thinking about the way we experience tea from other countries. Iced tea from the American South is usually prepared from bagged tea. In addition to tea bags and loose tea, powdered “instant iced tea mix” is available in stores. Eek! As much as I enjoy a cup of iced tea on a hot day, I rarely stoop to tea bags, and never to “instant iced tea mix.” If you are one of my international readers (when I last checked, about half of my blog’s visitors were outside the U.S.), please don’t judge us based on that article! Despite that, the article made me think about something: When we experiment with the drinks from other countries, we usually prepare them our own way. Yerba mate, for example. The traditional method of making mate in Argentina, Uruguay, or Paraguay is in a gourd, with water that Americans would call “warm.” Americans trying out the drink usually make it just like a cup of tea, using boiling water in a cup or mug. With tea, many of us would have difficulty drinking a cup of tea like they do in another country. 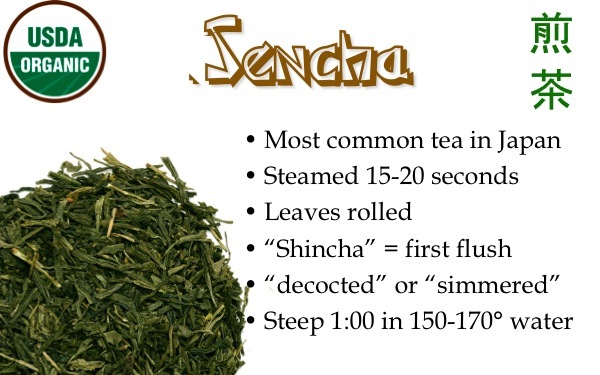 Follow that link above and look at their description of Tibetan tea (#5 on the list). I don’t know about where you live, but here in Montana, I can’t easily lay my hands on yak butter. Nonetheless, it’s a lot of fun to research how people eat and drink in other countries and try to duplicate the experience. Even if you’re not doing it exactly right at first, it makes you feel connected with other people and their cultures. When my wife and I were dating, we discovered a Moroccan restaurant that we both loved: Menara in San Jose, California. They had fabulous food, belly dancers, authentic music, and — of course — Moroccan mint tea. Kathy and I loved enjoyed watching them pour the tea as much as we enjoyed drinking it. We sat cross-legged on pillows around a low table. The server would place the ornate glasses — yes, glasses for hot tea — on the table and hold the metal teapot high in the air to pour the tea. I am not a big fan of mint teas, generally, and I do not sweeten my tea, but I absolutely loved the tea at Menara (and no matter what my wife tells you, it had nothing to do with being distracted by the belly dancer). When I made Moroccan mint tea at home, it never came out the same. There was always something off about the taste. I tried different blends, but just couldn’t duplicate the flavor. Then I decided to try duplicating the technique. Take a look at that picture to the right (a marvelously-staged and shot picture from chelle marie). Look closely at the glass. That, as it turns out, is what I was missing. Pouring the tea from a height does more than just look good; it aerates the tea, which changes the way it tastes and smells. You’ll find the same thing with a well-whisked bowl of matcha (Japan), a traditionally-made cup of masala chai (India), a frothy-sweet boba tea (Taiwan), or a cold, refreshing Southern sweet tea (USA). 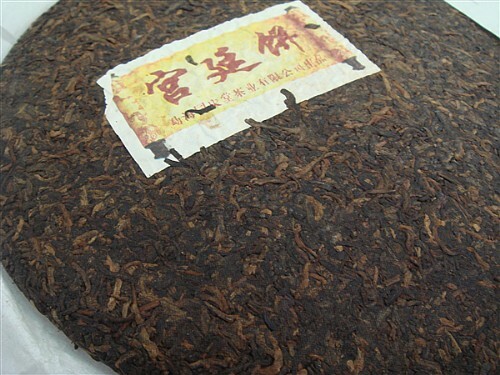 If there’s a tea shop or restaurant in your area that makes the kind of tea you want to try, get it there first. Otherwise, read a few blog posts, watch a few videos, check out a good book, and give it your best try. 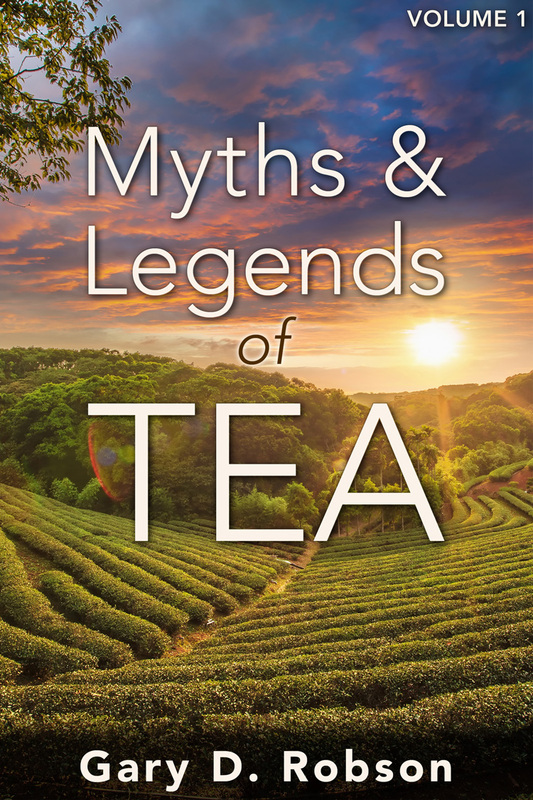 Tea is more than just a beverage; it is a window into the cultures that consume it. Embrace the differences. Enjoy the differences. Enjoy the tea! 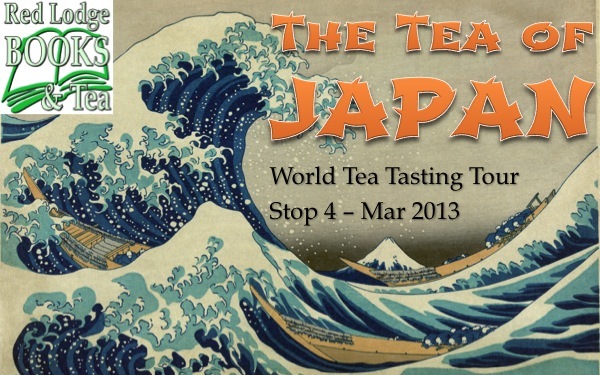 This is part two of my article on the Japanese stop of our World Tea Tasting Tour. Part one was posted a few days ago. The Japanese tea ceremony has been around for a very long time, but it was solidified into its current form in the 1500s by a man named Sen no Rikyū. He was an adherent of a philosophy called wabi-sabi, which honors and treasures simplicity, transience, asymmetry, and finding the beauty in imperfection. 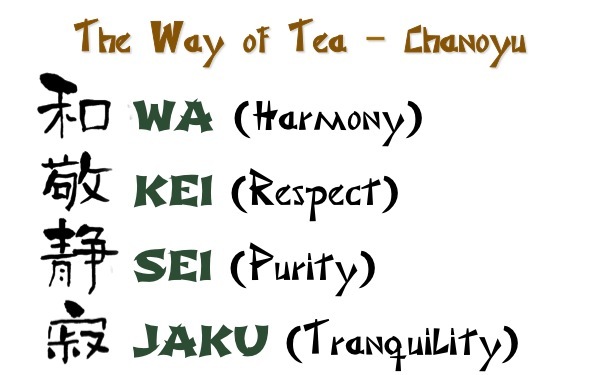 Rikyū applied this to the tea ceremony, developing what became known as chanoyu: the Way of Tea. He removed unnecessary ornamentation from tearooms, typically reducing the decor to a single scroll on the wall and a flower arrangement designed to harmonize with the garden outside. Everything else in the room was functional. 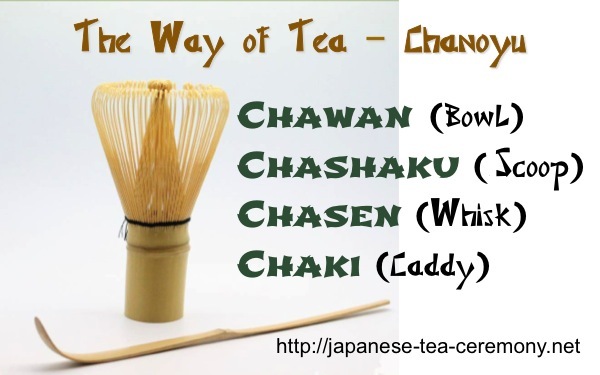 Chanoyu teaches four fundamental principles known as wa kei sei jaku, intended to be not only the core of the tea ceremony, but a representation of the principles to incorporate into daily life. Wa (harmony) was his ultimate ideal. From harmony comes peace. Guest and host should be in harmony and man should strive for harmony with nature, rather than attempting to dominate nature. Kei (respect) allows people to accept and understand others even when you do not agree with them. 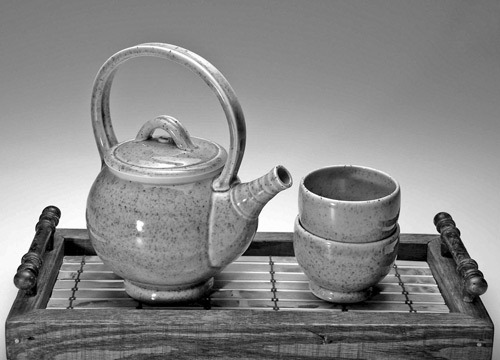 In a tea ceremony the guest must respect the host and the host must respect the guest, making them equals. The simplest vase should be treated as well as the most expensive, and the same politeness and purity of heart should be extended to your servant as to your master. 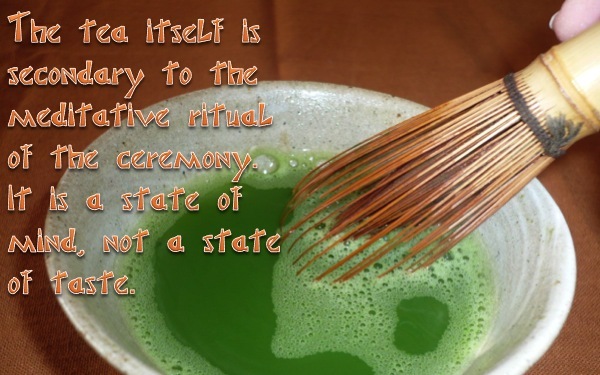 Sei (purity) is a part of the ritual of the tea ceremony, cleaning everything beforehand and wiping each vessel with a special cloth before using it. But that is only an outward reflection of the purity of the heart and soul that brings the harmony and respect. In accordance with wabi-cha, imperfection was to be prized here as well. To Rikyū, the ultimate expression of purity was the garden after he spent hours grooming it and several leaves settled randomly on the assiduously manicured walkway. 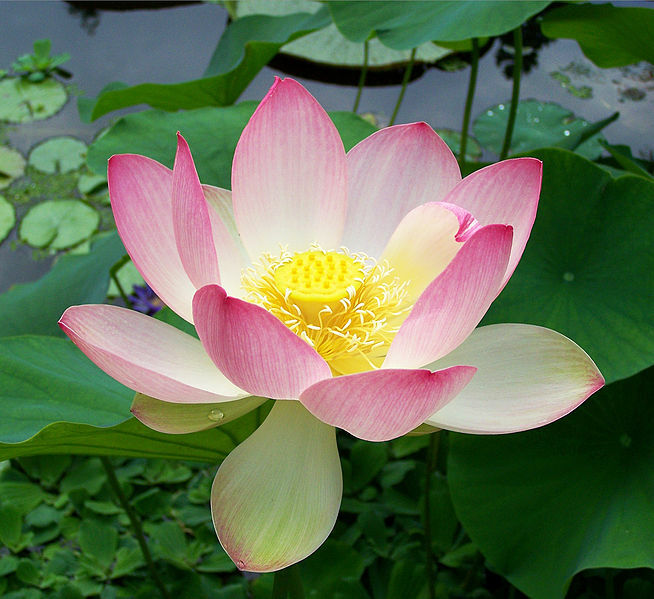 Finally, Jaku (tranquility) is the ultimate goal of enlightenment and selflessness. It is also the fresh beginning as you go back with fresh perspective to examine the way you have chosen to implement harmony, respect, and purity into your life. 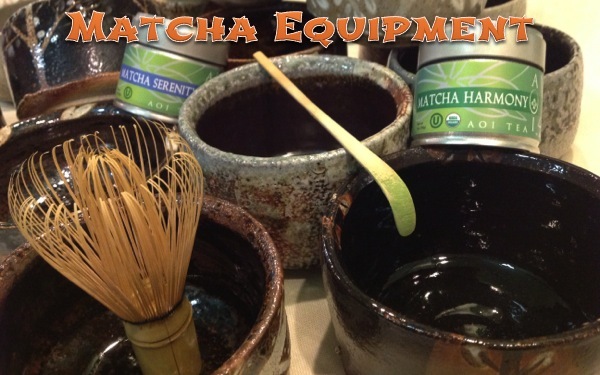 There is a long list of implements that are used in the preparation of matcha, which is the powdered tea used in the tea ceremony. The four that I concentrated on in this class were the bowl, scoop, whisk, and caddy. It could be argued that others are as important, or even more important, but I chose to focus on the ones that are used at home when you make matcha, even if you are not participating in a tea ceremony. The link in the slide above is a great place to learn all about the ceremony itself, and the site contains a detailed list of chanoyu utensils. In preparing matcha, the bamboo scoop is used to take tea powder and place it in the bowl. After adding water, the whisk is used not only to mix the powder, but to aerate the mixture, leaving it slightly frothy. 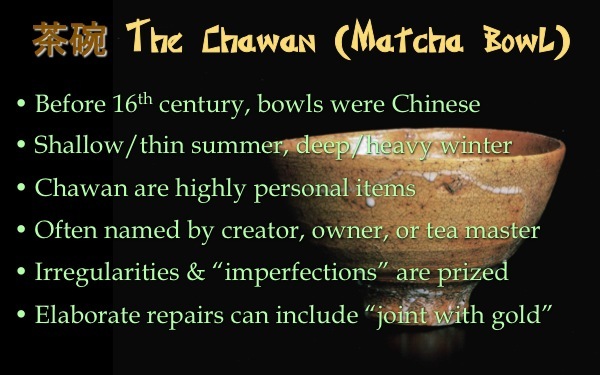 Of all of the tools of chanoyu, the bowl is probably the most personal. We were lucky enough to have Karin Solberg, who created the matcha bowls we sell at our store, talk about the process of creating and decorating the bowls. Karin has done some lovely work, and we enjoyed learning from her. There is a picture showing some of her bowls in part 1 of this article. I have said many times before that tea is a very personal thing. Nobody can tell you what tastes good to you. The “right” way for me to enjoy a particular tea could be quite different than the “right” way for you to enjoy that same tea. To Rikyū, however, the tea ceremony was not about what made your matcha taste the best. It was all about using the ritual to clear your mind and help you to see things more clearly. It was about achieving harmony, respect, purity, and tranquility. Outside of the ceremony, however, I would argue that your way of relaxing is the right way of relaxing, whether it means sitting on your front porch with a steaming hot cup of Earl Grey, preparing a delicate silver needle tea to enjoy with a friend, or laying back in the bathtub with a fragrant jasmine green tea. Tea should be a pleasure, not a chore, and the ceremony is about sharing that pleasure with your friends and guests. 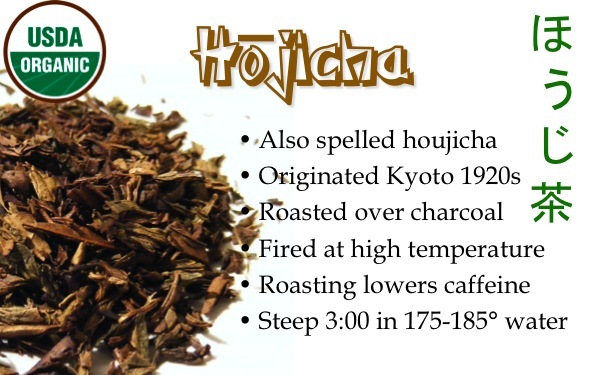 In 1191, a Buddhist monk named Eisai brought tea to Japan, and the tea world has never been the same. 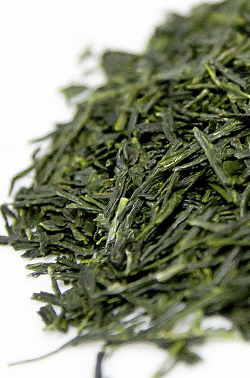 In Japan, when you say “tea,” you mean “green tea,” and that’s what we focused on. 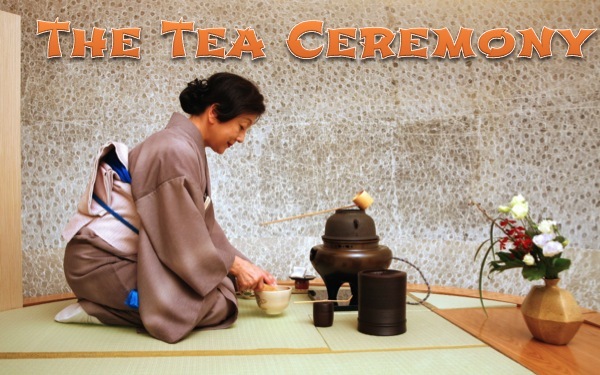 Japan is known for its grassy steamed teas, so we started this event there. 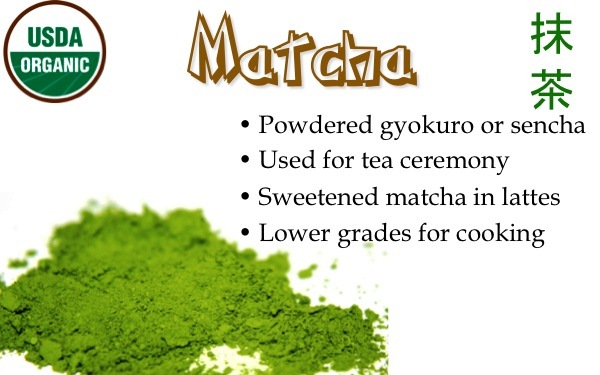 We went on to some of Japan’s lesser-known specialty teas, and wrapped up with matcha, the powdered tea used in the Japanese tea ceremony, which we import directly from Japan. We’re very excited to be working with resident artist Karin Solberg from the Red Lodge Clay Center, and we are featuring some of her matcha bowls in the store, and she came in to talk about them at this stop in the tour. Japan is the world’s 8th largest producer of tea, with about 119,000 acres cultivated and an annual production of 101,500 tons. These numbers are from before the Fukushima Daiichi nuclear disaster, which has shut down some of Japan’s tea production. The overwhelming majority of Japanese tea is consumed domestically, with only 2,105 tons exported, or about 2% of production. The country that purchases the most Japanese tea is the United States. We discussed the Fukushima Daiichi disaster at some length, but instead of including that information here, I’m going to write a full blog post about its effect on Japan’s tea industry when I have a chance. We did not taste kukicha or bancha, proceeding instead to the two higher grades. Not all organic tea from Japan will carry the USDA Organic seal. Many Japanese tea farmers prefer to work with their own country’s organization and carry the JAS (Japan Agriculture Standard) Organic seal instead. Note the short steep times and cool water used for these teas. 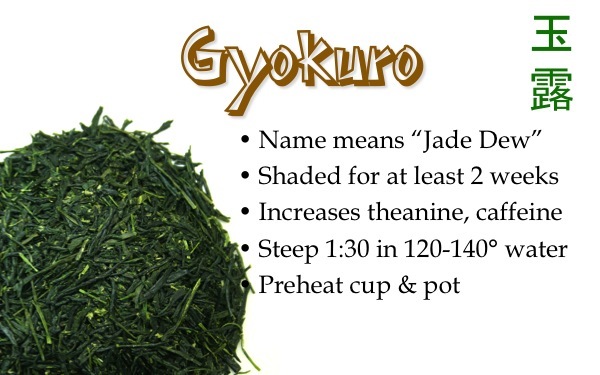 Recommendations for the top grades of Gyokuro go down as far as 40 degrees C (104 F). 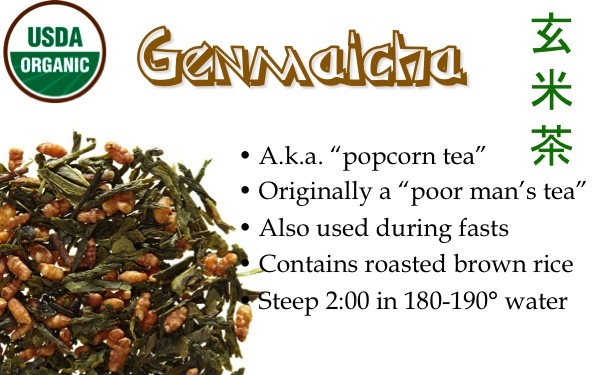 After tasting the two more mainstream Japanese green teas, we went on two a couple of their wonderful specialty blends: Houjicha and Genmaicha. We wrapped up the tasting with Japan’s famous powdered green tea: matcha. We tasted a USDA organic matcha from Aoi, prepared in a traditional chawan, or matcha bowl. Then we made matcha lattes using a sweetened matcha powder with frothed milk. We are lucky to have Karin Solberg, a local artist who works in pottery, producing matcha bowls for us. She talked about the traditions of the bowls, how they are made, and why they are designed as they are. All of the bowls in the picture below are Karin’s. In part two of this article, I’ll talk more about Karin and about the Japanese tea ceremony and the Way of Tea.